I am an opponent of the Death Penalty. I’ve read too many stories of how our broken justice system unfairly imposes punishment. Besides, what can be worse than taking away someone’s freedom? Every day that goes by is a reminder to that individual of what they have lost. There is, however, one penalty that is worse than anything a judge or jury can impose, and that is to be put away for a crime you did not commit. That is what happened to Anthony Ray Hinton. I first heard about Anthony Ray Hinton in the excellent book Just Mercy by Bryan Stevenson. Just Mercy is a detailed look at the death penalty and how race and money play a role in who gets the death penalty and who does not. Anthony’s story was just one of several stories of wrongful convictions. 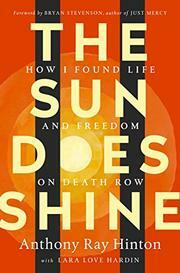 What makes this book so compelling is that you see the death penalty issue from the inside out. There have been other books written by the victims of wrongful convictions. One that comes to mind is Getting Life by Michael Morton. The details of how the wrongful convictions occurred may be different, but the tragic, life-altering effects of that error are the same. One thing that stood out in my mind after reading both stories was how both men managed to survive their unimaginable circumstances thanks to books. Reading allowed these men to escape their confinement. The case against Ray Hinton relied almost exclusively on evidence that a gun used in three separate crimes belonged to Ray Hinton. Police found the gun in the house of Ray’s mother. The problem with that evidence is that the gun police used to convict Ray had not been fired in over twenty years. Ray went through multiple lawyers and appeals but could not get an expert to dispute the evidence due to a lack of money. When he finally got some help, the state went out of their way to prevent Ray from presenting his new evidence. By this time Ray had been on death row for sixteen years. The state of Alabama’s response was that too much time had passed and that it would be a waste of time and money to hear Ray’s claims of innocence. Everyone failed Ray. His court-appointed lawyers. His ballistics expert. The prosecutor. The Attorney General. Judges. Juries. The appeals process. In almost all wrongful convictions, the justice system does everything possible to impede, block, and prevent the truth from coming out. No one did anything to help Ray until Bryan Stevenson came along. Had it not been for Bryan Stevenson, the state of Alabama would have been guilty of murder. There are people in society who deserve to be locked away. They have committed heinous crimes and would do so again if given a chance. But the death penalty serves no purpose. It is not a deterrent. Ray introduces readers to the men on death row. He describes poignantly how each person is more than their worst act. There is no place for capital punishment in a civilized society. Every criminal started life the same. We will never be able to prevent lazy lawyers, ambivalent prosecutors, disinterested judges, and inept detectives. But we can stop them from putting innocent people to death.